Rural Redesign – Yes We Can! Rural Redesign members are continuing to work diligently on your behalf. Our focus is now shifting toward the province, which is where all final decisions on Municipal Restructuring are made. We’ve been advised the Minister of Municipal Affairs and Housing (MMAH) is not necessarily influenced by voter referendums or municipal preferences, and our best advice from MMAH is simply to follow the requirements of the Municipal Act, specifically Sections 171-179 regarding Municipal Restructuring.Meanwhile each Provincial Party is devoting the majority of their time and resources to preparation for the upcoming election, and the prospect of a new government could dramatically alter the Queen’s Park landscape, which could in turn influence Rural Redesign. While everyone awaits the election call our members will be working to increase Rural Redesign awareness and gather support at the local level. As Rural Redesign moves closer to the provincial level you’ll hear more people talking about “Kawartha Lakes” than our spring weather. This may be a good time to expand on the infamous “Kawartha Lakes De-amalgamation“…..Whenever the word “de-amalgamation” is mentioned we’re immediately reminded “Kawartha Lakes tried it and the province wouldn’t let them”. However, as Paul Harvey would say, “…..and now for the REST of the story”…..
First one must review the chronology of events leading up to the infamous Kawartha Lakes decision. Jan 2001: In 2001 the Kitchen Commission forced the amalgamation of Victoria County (16 Municipalities) and 1 County into the City of Kawartha Lakes. All but Lindsay and Emily Township were opposed. Jul 2001: Petition circulated to assess local opinion to de-amalgamate. 11,000 signatures collected. Feb 2002: Letter from Dalton McGuinty, Leader of Official Opposition: “I have committed that a Liberal Government will ensure a binding referendum is held to allow local citizens to determine whether or not to dismantle the amalgamated city. The decision making power will be where it belongs; with the local residents”. Jul 2002: Call for a referendum was made. Issues included tax increases, fiscal mismanagement by council, area rating not implemented, overspending. Jan 2003: Chris Hodgson announced his resignation from Government; did not run in 2003 election. Oct 2003: Liberal Party under Dalton McGuinty win the Provincial election. Haliburton, Victoria, Brock elects MPP Laurie Scott, a PC. Nov 2003: Referendum question placed on Municipal ballot. 48% voter turnout and a slight majority of 51% voted YES. Feb 2004: City of Kawartha Lakes receives a letter from McGuinty government advising “1) There is no provincial funding available because of deficit left by former government, 2) Amalgamation was not an initiative of this (Liberal) government, and 3) There is reason to believe that the number of lower tier municipalities that would result would experience significant financial challenges such as bringing water services up to post Walkerton standards. I will not implement de-amalgamation at this time. I would be open to considering other proposals for municipal restructuring”. Mar 2004: VOCO (Voice of Central Ontario) started their Red Casket Relay. They traveled around Ontario carrying a red casket and a signHere “Lies” McGuinty. Feb 2005: City of Kawartha Lakes Council voted to disallow any further restructuring proposals, and province will only entertain proposals “submitted by Council”. The failed Kawartha Lakes De-amalgamation is a good example of a perfect storm. A number of unforeseen and unfortunate events all came together at the same time. Too soon? The amalgamation was strongly opposed in the rural area before and directly after implementation with the primary concern being spending in the urban area, even though the rural population (and representation) outnumbered the urban area 65% to 35%. Too unreasonable? De-amalgamating and returning to 16 separate municipalities would have been counter to the provisions of the Fewer Municipal Politicians Act of 1999. Local support? Lindsay opposed. Some rural townships had financial concerns prior to amalgamation and some questioned whether they could reasonably survive on their own. Role of their MPP? MPP Chris Hodgson became MMAH and it is rumoured he was pressured into agreeing to have the referendum on Municipal ballot. He resigned from politics shortly thereafter. 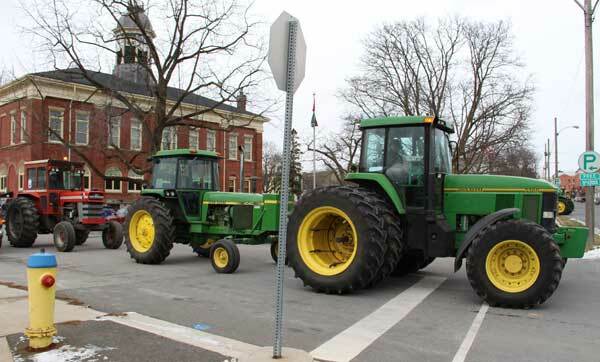 Walkerton? As a result of the Walkerton Water Crisis, significant expensive water treatment requirements were imposed on all municipalities, and the City of Kawartha Lakes (CKL) has 21 drinking water systems. Change of government? Amalgamation was initiative by the Conservative government. Chris Hodgson was the PC MPP for CKL. Liberals were elected in Oct 2003 and CKL elected a Conservative, Laurie Scott, who was not a member of the new Party in power. Referendum vote? 48% of eligible voters cast ballots for the Referendum vote but only a small majority (51%) voted YES. (Lindsay voted NO). Red coffin? In an attempt to embarrass Dalton McGuinty, VOCO traveled all over Ontario with their red coffin. Everyone in Ontario thus became familiar with the Kawartha Lakes failed de-amalgamation attempt, which played perfectly into the government’s hand to discourage other municipalities from contemplating de-amalgamation. The City of Kawartha Lakes unwittingly became the poster child for de-amalgamation failure. Since then whenever any municipality speaks of de-amalgamation the first (and often only) Pavlov reaction from politicians is “it can’t be done because Kawartha Lakes tried and the government wouldn’t let them”. Unlike the City of Kawartha Lakes, Rural Redesign is not seeking a de-amalgamation of Hope Township from the Municipality of Port Hope to return to an independent Hope Township. Rural Redesign is seeking a solution described in the Municipal Act, Part V, Municipal Reorganization, Municipal Restructuring, whereby a part of the Municipality of Port Hope (Hope Township) would be removed from the Municipality of Port Hope and annexed to another(rural) municipality as described under subsection 173 (16) – Minor Restructuring Proposal. Unlike the City of Kawartha Lakes, annexing Hope Township with another rural municipality would not increase the number of municipalities in Ontario. We are in effect simply requesting a “lot line adjustment”; not a “severance”. Urban areas are generally responsible for the greatest budget expenditures, since urban residents demand more services. With a 35:65 urban/rural population ratio in the City of Kawartha Lakes, the rural area is in a position to exercise more control over excessive urban spending. However with a 75:25 urban/rural population ratio in the Municipality of Port Hope, rural residents have no control over excessive urban spending which rural residents are easily forced to pay for. Rural residents have endured 13 years of hardship and neglect, resulting in higher taxes and a reduction in services. Four successive municipal administrations have tried unsuccessfully to “make the forced amalgamation work”, but it hasn’t worked, and never will work. 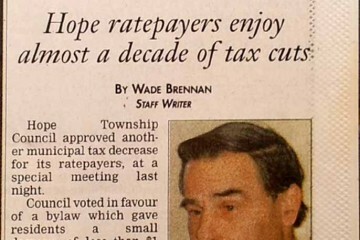 Hope Township was solvent in 2001 with a total Municipal equity of $1M. We are now associated with a municipality carrying a $37M debt load as of the end of 2012. Unlike the City of Kawartha Lakes, Hope Township does not have any drinking water systems. Whereas the City of Kawartha Lakes obtained a 51% majority on a referendum to de-amalgamate, a Rural Redesign petition requesting all administration and control of the former Hope Township (Ward 2) be severed from the Municipality of Port Hope and aligned with a like-minded rural community was signed by an unprecedented 81% of Hope Township adult residents. There is one similarity we do have with the City of Kawartha Lakes. Their initiative was caught in the political crossfire of an election, resulting in a change of government, along with the political uncertainty and shift in priorities that type of change brings. Such is the situation Ontario residents may be facing in the very near future. 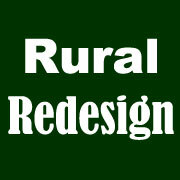 Rural Redesign therefore has very little in common with the situation that existed in the City of Kawartha Lakes in 2001 other than the fact we were both forcibly amalgamated, and in trying to correct the wrong, we’ve both found ourselves caught in the middle of a provincial election. Rural Redesign intends to pursue a realignment of Hope Township with a like-minded rural community in order to best serve our residents and preserve our chosen rural lifestyle, and contrary to popular belief, legislation does exist within the Municipal Act, PART V – Municipal Restructuring allowing us to do so.